This Woeber's 32 oz. organic apple cider vinegar is great for culinary uses and to help promote health and wellness! Made from organically grown apples, this product contains no artificial colors or preservatives. Reduced to 50 grain, this vinegar has an acidity of 5% and features a pale to medium amber color. 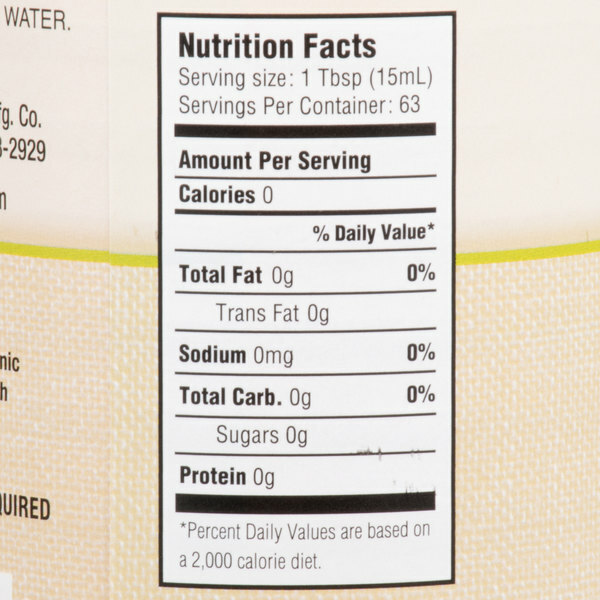 It contains the naturally occurring "mother of vinegar," which is a cloudy substance formed from protein enzyme molecules and regarded for its nutritional benefits. 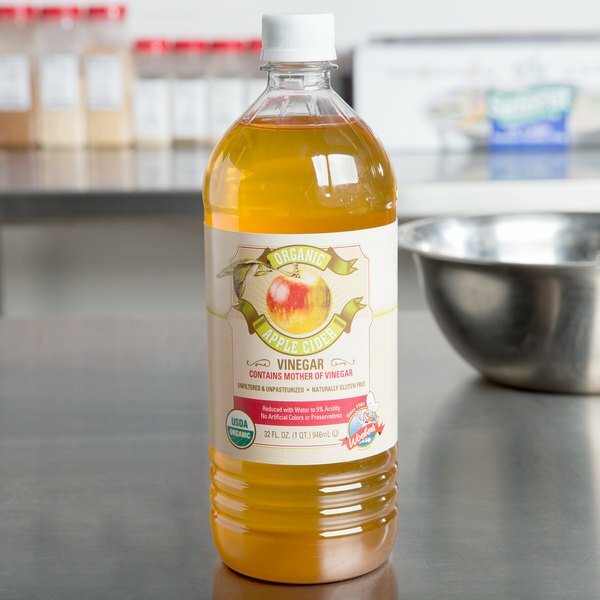 Use this organic apple cider vinegar to add a wholesome, tangy taste to salad dressings and vinaigrettes. It's also great for vegetables, dips, marinades, and chutneys. Found in a large number of recipes, apple cider vinegar is also great for food preservatives. In addition, apple cider vinegar supports a healthy immune system, promotes digestion, helps soothe dry throats, and may even help control weight. It's great for healthy skin and may help remove bad body toxins. This organic apple cider vinegar's numerous uses and benefits make it a great addition to any restaurant, cafe, or catering service! 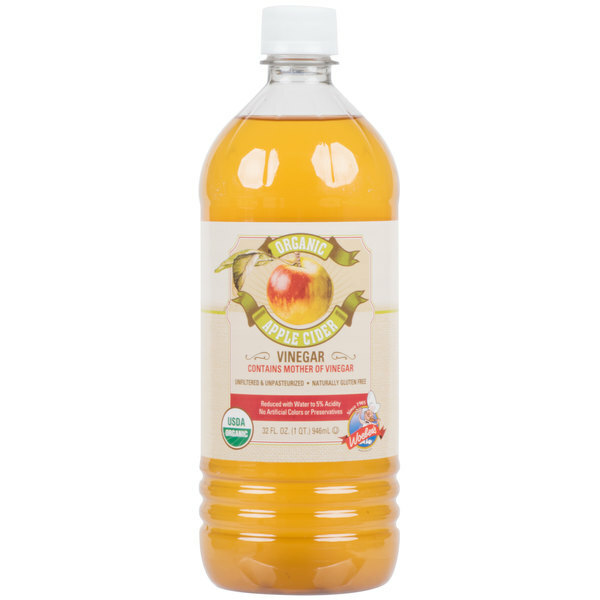 I like this apple cider vinegar: it is great quality, shipping was convenient and the bottle size is great. Much better quality than those you get from the typical grocery stores. This is great apple cider vinegar—has a nice tart taste, and you can see some of the "mother" floating along the bottom so you know it's the real deal. I love that this is organic, too, which is hard to find at such a good price. 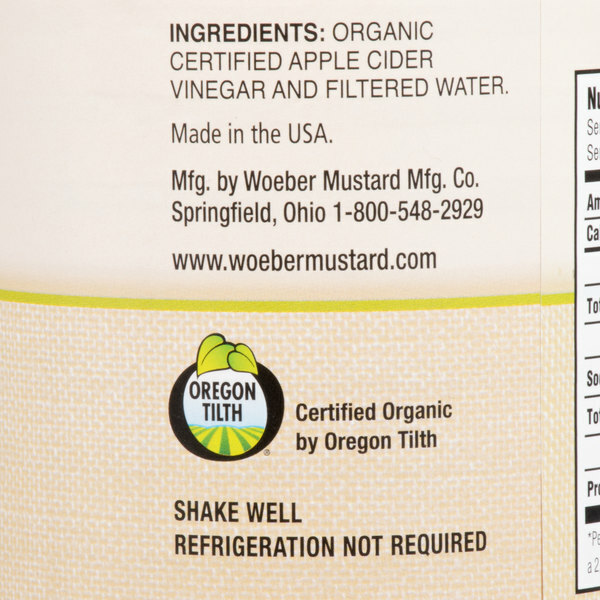 This Certified Organic apple cider vinegar comes packaged in a plastic bottle. It was well packed, and had an additional seal placed around the top, and was placed in a bag. The flavor is your traditional ACV flavor, and is a great addition to sauces and dressings. Perfect acidity level at 5%, not too strong or too weak. Great for deglazing and marinades, the color is bright and a nice apple aroma. Awesome to find an organic apple cider vinegar to use in our dishes. The woeber's brand is great and the vinegar has a great flavor quality. Great apple cider vinegar. Organic and very flavorful. Much more so than vinegars without the 'mother.' Use it for salad dressings, pickling, and everything in between! A really great find with the Woeber's organic apple cider vinegar. The taste is great and the vinegar is perfect for making our pickled products. 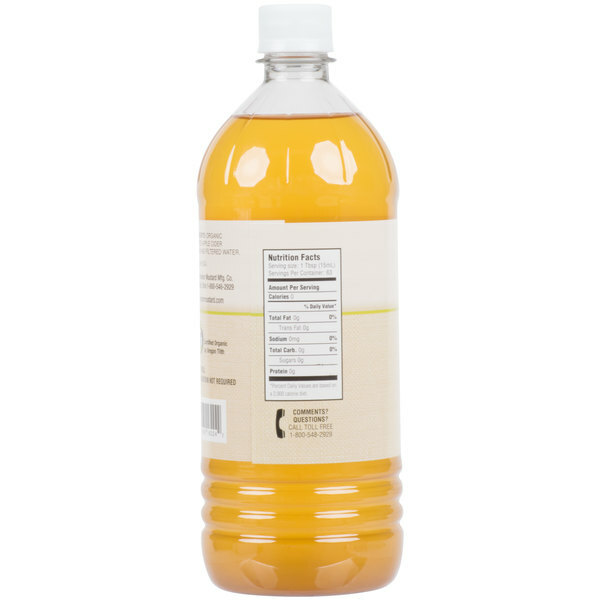 I use apple cider vinegar for most things that call for vinegar, it has more flavor than white vinegar and at this price is pretty economical to get. If you have a recipe that calls for vinegar give this a try! this is a smaller bottle of vinegar but if you don't need that much it's great. it has a nice apple flavor and doesn't taste too acidic and offensive. i used it to make some bbq sauce and it was great. It's great that it is organic but for the price I was expecting it to be a bit stronger and looks and taste real light. I like that it is organic and has the mother. Absolutely love apple cider vinegar. It has so many every day uses, health benefits and not to mention the great taste it brings to salads and vegetables. Would recommend this product! Fantastic for health benefits or to make bone broth. As a healthy start, mix a tsp into water and drink in morning then rinse mouth out afterwards to protect teeth from acid it helps with overall health and immune system and cleansing and pain and digestion. Many health benefits and this has a great fresh flavor too! Really fantastic apple cider here. Perfect in dressings, or as a fat burner. Take a shot first thing in the morning and last thing before bed! I drink apple cider every single day in the morning with a glass of water to detoxify my body. This is a great amount and great quality for a really great price and I don't run out as fast!